DDoS Support offers affordable protected web hosting options with the ultimate in protection against Denial of Service (DoS) and Distributed Denial of Service (DDoS) attacks. You can choose from protected shared hosting, protected virtual hosting and DDoS protected dedicated server options. DDoS Support also offers co-location and protected robust web server farms in the cloud. All are protected against distributed denial of service attacks. We provide uncompromising DDoS protection rates you can afford. DDoS Support can block, mitigate and protect against all known DDoS attacks. Choose from a variety of protected web hosting options or contact DDoS Support for a protected custom web hosting option. Is Your Website Under Attack Right Now? Even if your website is under an attack right now, DDoS Support can help. Just call the number below for immediate assistance and complete DDoS web hosting protection. 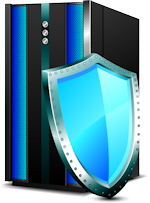 Shared protected hosting is best for individuals and small businesses that do not come under heavy DDoS attack but prefer a solid defense against DDoS attacks. A shared protected hosting solution is perfect for companies that have informational web sites. Shared protected web hosting is ideal for businesses that are generally not targets of DDoS attacks or requiring DDoS mitigation. Larger companies that rely heavily on Internet traffic to support their business should consider the virtual protected hosting, DDoS protected servers or protected cloud server options. This includes sites that utilize e-commerce, searchable databases, order fulfillment, and other online applications. Virtual DDoS protected servers will provide peace of mind to any business that wants stronger DDoS protection and DDoS security. Very demanding businesses choose ddossupport.com's DDoS protected dedicated server options. Botnets and DDoS floods are no match for DDoS Support's DDoS protected dedicated servers. Dedicated server options give you more processing power with a Storage Area Network (SAN) and lots of customized options. For high performance DDoS protection and security, our dedicated servers are an unbeatable DDoS defense. Why Protect Against DDoS Attacks? Protect Your Reputation: A botnet or DDoS attack that shuts down your website can ruin the reputation of your business within minutes! The Costs Add Up Fast: Lengthy attacks can cost you in downtime and lost business. Can you afford that in today's busy economy? Most Web Host Providers Are NOT Protected: The complexity of attacks escalates daily. Most web host companies are not equipped to handle attacks! Protect Your Website Assets: A website is typically at the heart of the business model, especially if it is an e-commerce site. It makes sense to protect it! The traffic on your site slows to a crawl. Then your web host calls to tell you there is a problem with your site. They're not sure what it is. Awhile later they call again. Now, they're shutting down your site completely. Then they say, "We're sorry. There's nothing we can do. Maybe you should find another hosting provider." 15 Years Experience in DDoS Mitigation & Security!